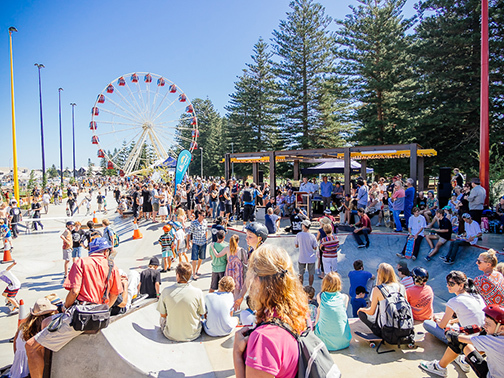 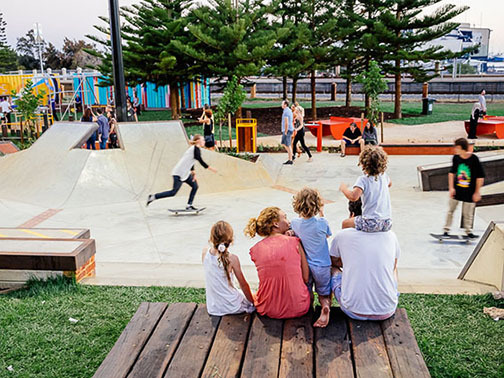 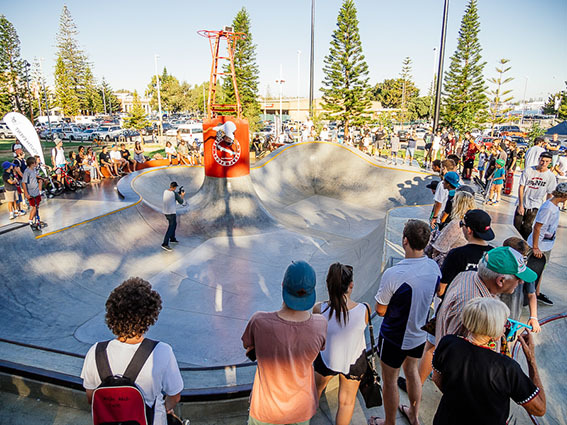 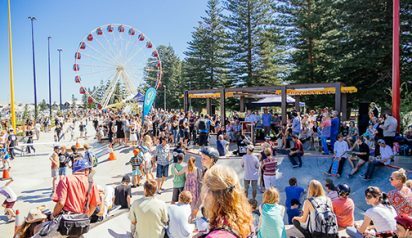 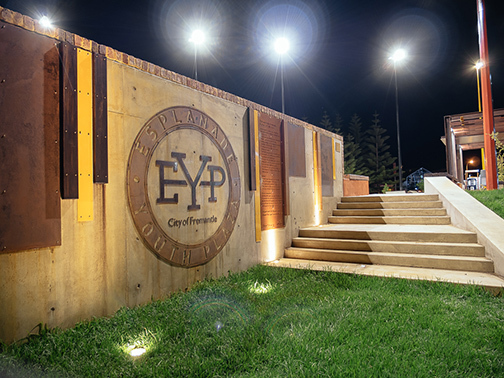 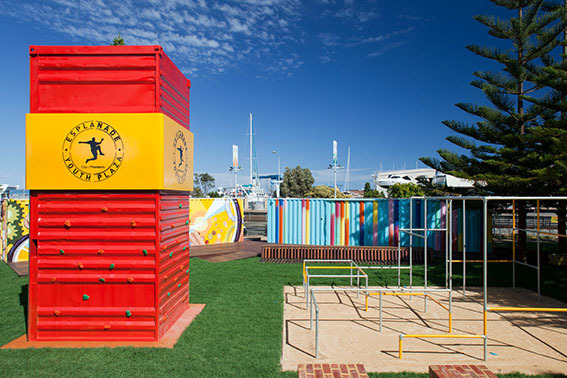 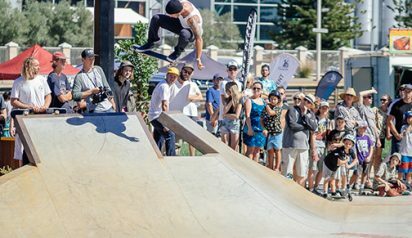 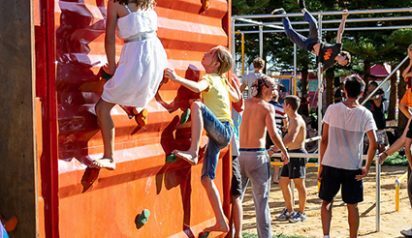 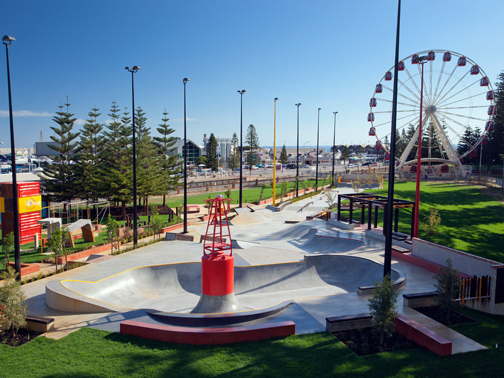 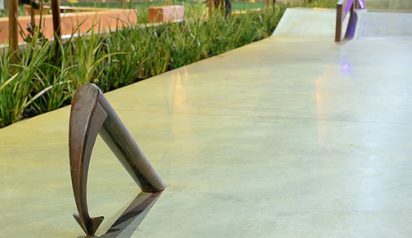 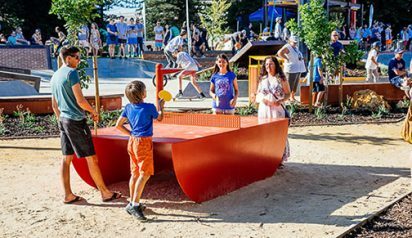 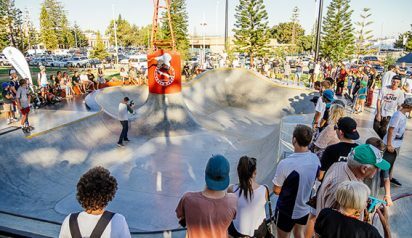 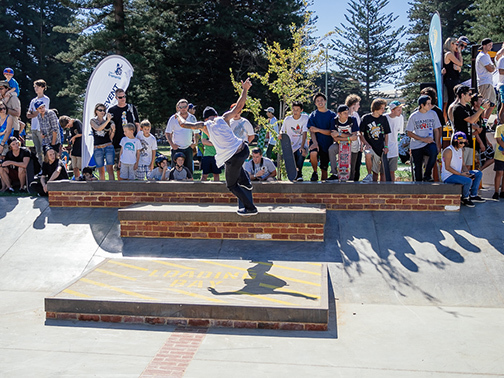 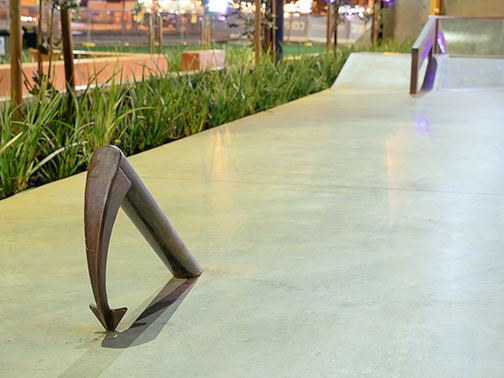 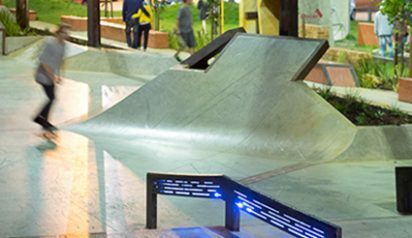 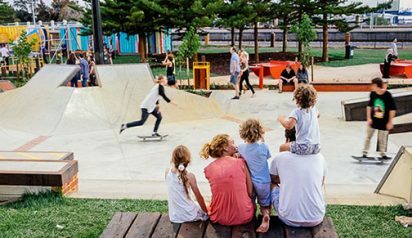 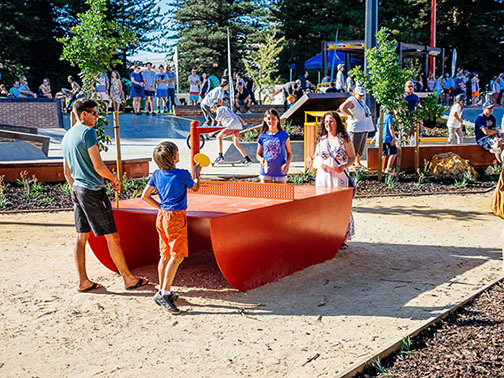 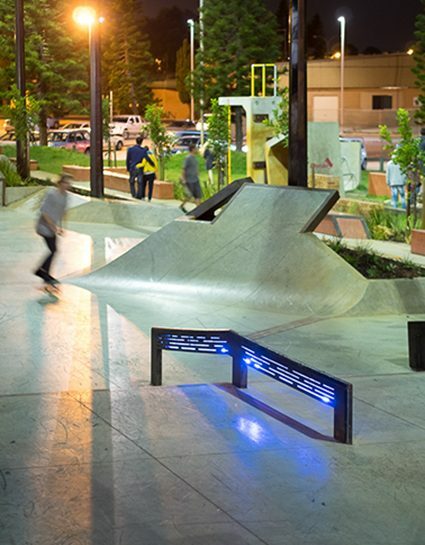 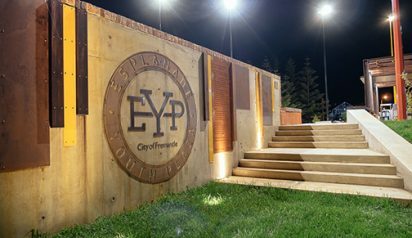 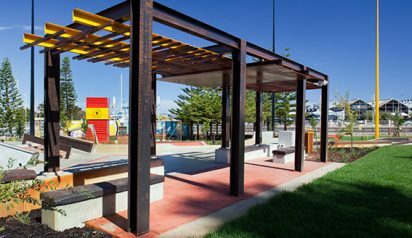 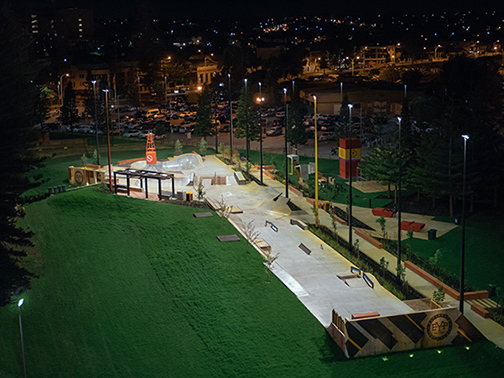 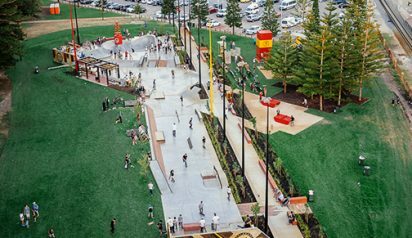 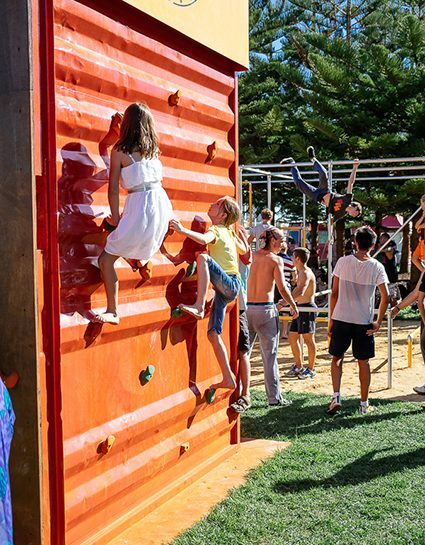 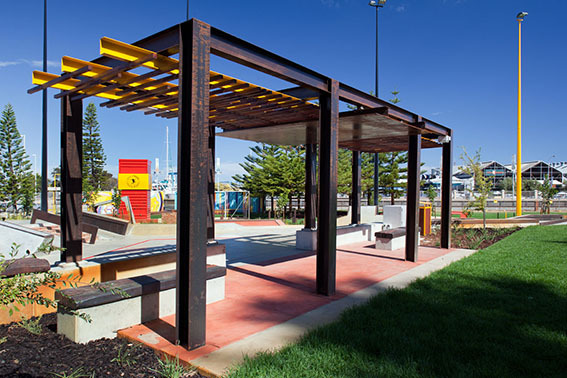 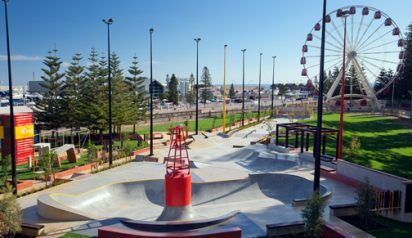 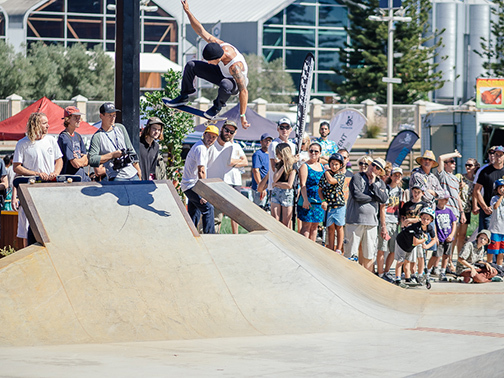 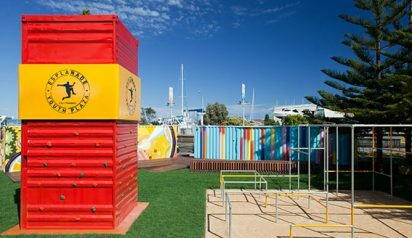 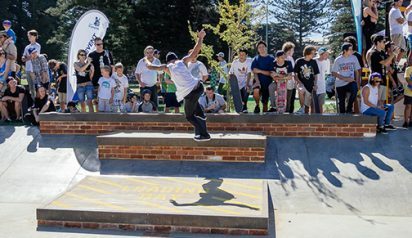 Situated in the heart of Fremantle, the Esplanade Youth Plaza is a manifestation of the very best of Freo’s culture. 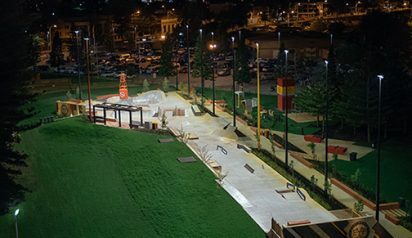 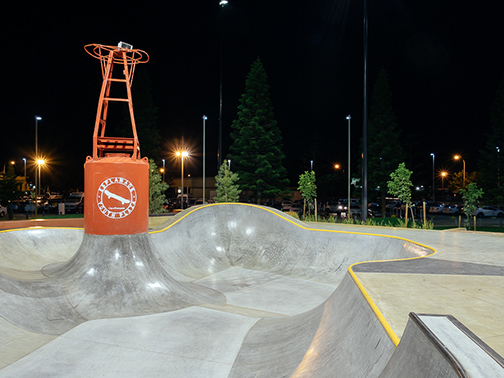 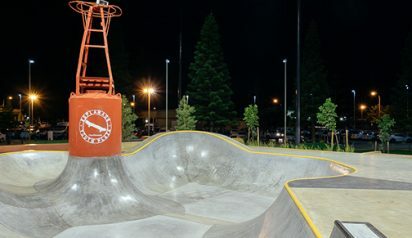 Interpretative layers are interwoven through the space, using a range of materials and features to tell the story of the rich history of the city, in particular its working past, including a repurposed historic buoy into an iconic skate element and using a shipping container as a bouldering tower. 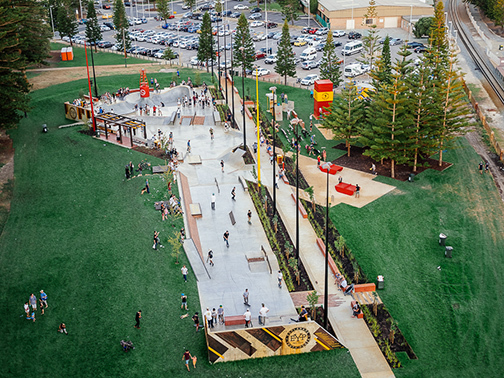 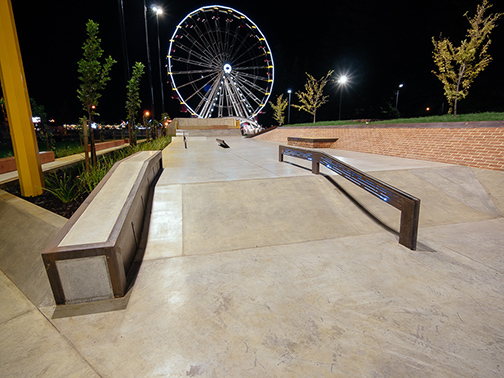 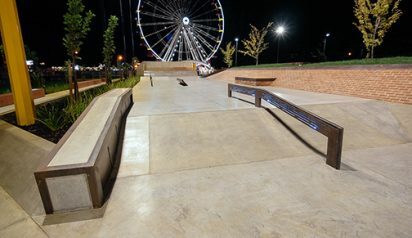 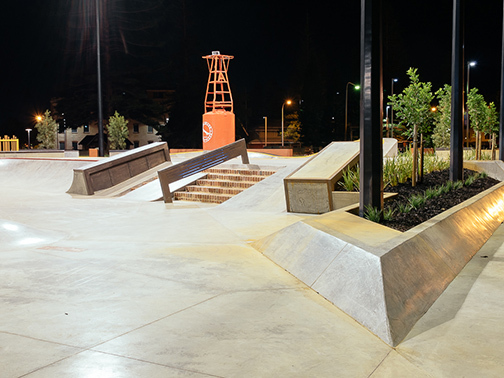 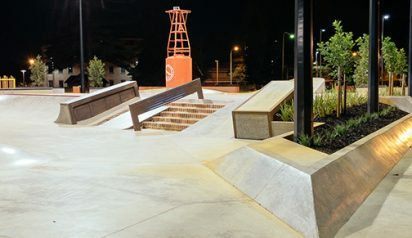 Complementing this is the strong skating culture within the community, evident in the unique and challenging skateable terrain that pays homage to the historical Woolstores ledge, making the facility a key destination for local users and national and international visitors.